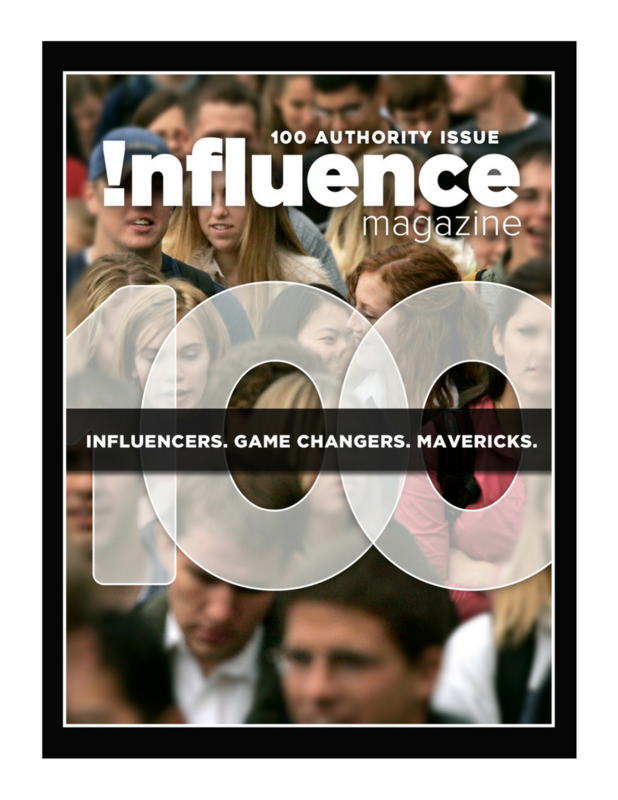 Influence Magazine | The Ambitious City has an ambitious advocate in Keanin Loomis. The Ambitious City has an ambitious advocate in Keanin Loomis. Keanin Loomis is a lawyer who landed in Hamilton deciding what he wanted to do next in life. Meeting Mark Chamberlain sent him in a new direction that saw him become a major architect of the emerging Innovation Factory. 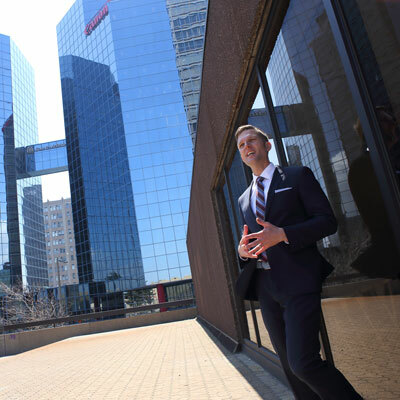 Now as President and CEO of the Hamilton Chamber, Keanin is helping to harness and capitalize on the almost endless innovations that are surging throughout his city. We talked to Keanin in the Hamilton Chamber of Commerce offices and enjoyed a lively conversation about the hipster migration, the origins of Hamilton nicknames and, of course, donuts. Hi Keanin, it’s great to sit down with you to talk innovation and innovators. As the President of the Hamilton Chamber of Commerce, you’re front row centre at the fireworks show that is the new Hamilton. I do have a great view. Hamilton is bursting with innovative ideas, people and projects. No wonder it’s been crowned “The New Brooklyn” and “The Ambitious City.” I just love both of those nicknames. How about you? Yes, there’s all this chatter that Hamilton is Toronto’s Brooklyn. On the one hand, we say that we are our own city, thank you very much. But the comparison is kind of fun because the Brooklyn brand has become very hip, very cool, and that’s a great compliment to Hamilton. A couple of the reasons I think we’re being called the new Brooklyn: Number one is proximity. We live in the shadow of Toronto and Brooklyn lives in the shadow of Manhattan. It’s a pretty great comparison. The commonalities between Hamilton and Brooklyn keep adding up. Brooklyn is famous for its authenticity and grittiness. Hamilton too. Because of that we are becoming a haven for hipsters and that’s what Brooklyn is. So is the new Brooklyn just a name or is it a jumping off point to bigger things? It’s a springboard. As long as we keep asking ourselves, How do we turn the “New Brooklyn” identity to our advantage as opposed to feeling like we are in the shadow? How do we tap into the incredible wealth and thriving community that’s right next door, as if it’s our biggest export market opportunity? How do we as a community gain confidence through this attention being paid to us by Toronto? That is a big concept we talk about here at the Chamber and in the business community. Okay, so what’s the answer? Actually, it leads to another question. The next question is, How do you cultivate that type of growth within the business community so the restaurants that have popped up, the web companies, the filmmakers and the musicians thrive? So how does the Chamber in particular take advantage of this? How does it recognize and bring that all together? One of the things that we drew inspiration from was Brooklyn’s “Made in Brooklyn” branding. I don’t want to get too far out in front of ourselves, but we are thinking of doing something very similar – a “Made in Hamilton” brand that we can apply to what’s been created, what’s been crafted, here in Hamilton. I’m talking about the big coils that roll out of ArcelorMittal Dofasco all the way to the locally roasted coffee our independent coffee shops are pouring every day. That steel is made in Hamilton. That coffee is made in Hamilton. The films, the art, the technology, all made in Hamilton. When you add it all up, it encompasses a huge amount of the economy here in this community. It’s all of those things we’re looking into when teasing out the new identity. Some cities have no nickname or claim to fame, but we not only have the New Brooklyn moniker, we’re also dubbed the Ambitious City. Where’d that come from? The Ambitious City has historical roots. Really? I thought it was something my cool generation penned. The phrase “The Ambitious City” actually goes back to the late 19th century. I have this postcard on my fridge that summarizes the history very well, let me just find it. I have another here on my desk somewhere. The whole phrase started with the Hamilton Spectator. There was a little bit of a war of words happening between The Spectator and the Toronto Globe. Brilliant! That should be carved into a monument in the middle of the city. When I learned that history a few years ago, I thought, That’s amazing, it’s time to take that back and own it again. And so I got the idea to create an event, a new event, with the title of Ambitious City. 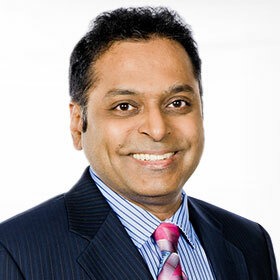 The third year invited the CEO of the Brooklyn Chamber. No one knew his name, it was just the topic, the Ambitious City as the New Brooklyn that was a huge draw. And it caught on. It captured everyone’s attention. The cachet of Brooklyn and the similarities. As you said, the comparison to Brooklyn in being authentic and gritty, eclipsing Manhattan in its own way. I was in New York for a week at the beginning of September with my sons. They’re between 17 and 24 and to them, Manhattan was great, but they wanted to get to Brooklyn. It was their top priority. It was their destination. Let’s just say they were right, I had the best pizza I ever had in my life. Better even than Italy! So Brooklyn and Hamilton are similar in other ways too – we both have amazing pizza. Before I can’t think of anything else but great food, talk to me about where Burlington fits into this equation. I feel like Burlington has historically always felt a little closer to Hamilton than anywhere else, especially Toronto. I think the great thing is that we regained our confidence. The businesses and people of Burlington are looking to Hamilton again. In a way, like they once did, as perhaps being part of and even essential to their success. As a key player, as someone who has been an active part of Hamilton as a centre for innovation, talk to us about what the word innovation means to you. I think in so many ways, the word innovation is overused. We should all settle on a definition of what it actually means. That was the first thing I started doing with Innovation Factory. So in defining innovation, it was important we have some sort of place to start from. The best one I found was a description of innovation as “significant positive change.” Which it is. Significant positive change. I can agree with that definition. To me, the simplicity of that definition was really appealing. I liked that it didn’t make innovation necessarily a technological term. Meaning that you can apply that term to any significant positive change. A city can innovate, an individual like me who is not technologically savvy can be an innovator. Businesses can, not-for-profits can and so, to me, that was where, all of a sudden, I started to get a much greater appreciation for what innovation really was. So this amorphous overused term now had meaning, it is more of a process and a culture, not necessarily a tech driven enterprise. In that definition there’s room for everyone. I love it because when I think innovation, I think the broad spectrum. What I’m hearing you say is that innovation “is a city, it’s an individual, it’s a non-profit, it’s a street.” Where is Hamilton in terms of innovation according to your definition? When I look at what Hamilton is doing at this point in time, I think that there’s no doubt that we are, in so many ways, driving significant positive change within this community. It’s happening at all levels. There are still very strong forces for the status quo and inertia, which are the defaults, right? But I think we are finding more and more people driving the agenda and driving the city forward, in various realms. It’s all adding up to being something pretty significant and inspiring at this moment. Where do you think Hamilton is going from here? Is Hamilton still climbing in terms of the energy around innovation? Where are we with that? I think we are definitely still climbing. I still see so many opportunities in this city. I look at the fact that we really haven’t truly exploited, I don’t mean this in a negative way, but exploited the waterfront and our position on, not just the Bay, but even the lake as well. There’s a lot of plans there going forward. There’s still a lot of innovation to come in our transit systems. We still have too many surface parking lots in the downtown. To me, we are not finished until every single one of those is filled in. I keep saying if we are expected to grow by approximately 200,000 people within the next 20 or 25 years as the projections predict, what we have to do is determine how we get 100,000 of those people into the lower city? I think we can easily accomplish this. That’s where we have to focus. So innovation is here to stay? We are not even close to being done with innovation. I believe that 20 years from now this city will look and feel totally different from what we feel right now. We are on our way, but not even close to the finish line. Our true transformation is going to involve hundreds and thousands of people that aren’t even on the scene right now. So that is pretty exciting. Speaking of people not on the scene, from where I’m sitting, I see a migration to Hamilton by people in their 20s. In my own family, I have a son who is finishing a post-grad in Ottawa. He’s been gone from Hamilton for six years and I always assumed he would live and start his career in Toronto. Now he’s coming home to Hamilton. Do you see this migration too? Absolutely. Hamilton is attracting educated, smart young professionals. We’re also retaining them too. People are staying in their hometown and others are arriving fresh on the scene like I did. Of course, having Donut Monster is a big draw too. I just want to circle back to Burlington for a moment and tell you about a conversation I was part of a few months ago at an After 5 event at the Burlington Chamber. I was talking about Hamilton, Innovation Factory and a collaborative work space we were working out of, CoMotion on King. 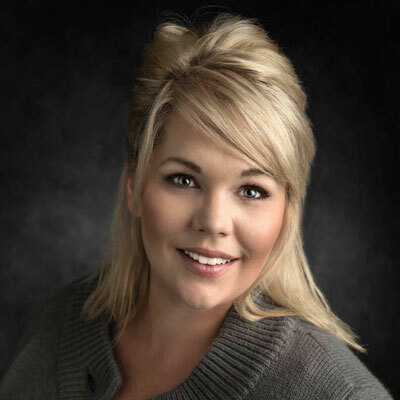 I was surprised at how Burlington Chamber members jumped in and said things like, “There’s so much great stuff happening in Hamilton.” It feels to me that Burlington may be starting to look across the Bay and wondering, What are you guys up to over there? Hamilton is the next door neighbour who wasn’t making much noise for the past few decades and suddenly they’re throwing a party people want to be at. A party. What a great way to finish up our chat. Thanks for talking to us today, Keanin. 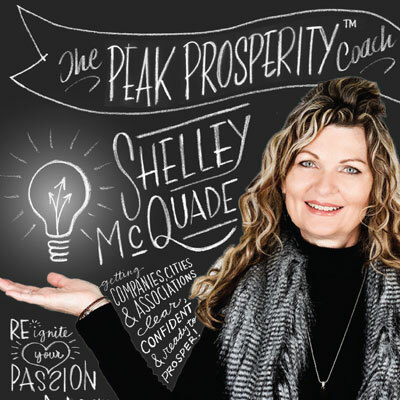 Shelley McQuade, the Peak Prosperity Coach with a secret weapon.